Lunch prepared from the fresh produce of The Hilli Goat farm in Norfolk Island. Often described as a cross between Fiji and New Zealand, the beautiful Norfolk Island is bigger than it seems. Here’s 9 to-dos to add to your island itinerary. It’s best to hire a car to get around the island, and a fleet of colourful Mini Mokes arrived in Norfolk this year. Give way to cows, perfect the mandatory one-finger wave, and discover a new vantage point each day to watch the magnificent sunsets. 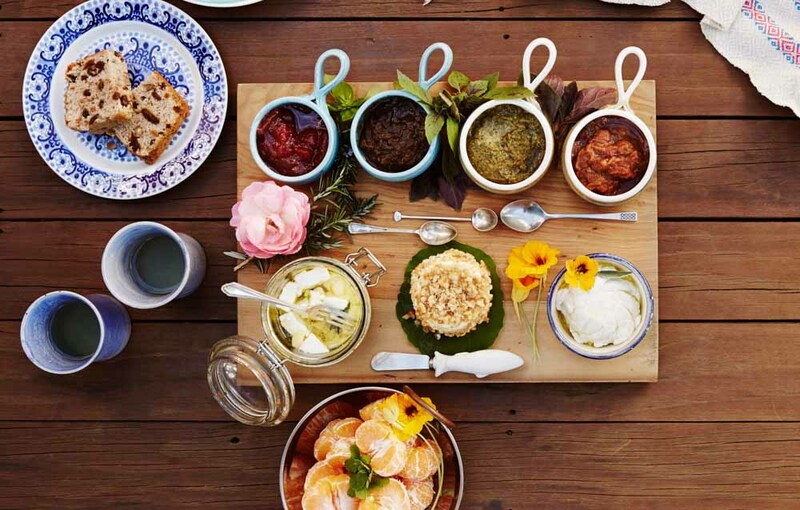 Follow Emily Ryves on a tour of The Hilli Goat farm, fall in love with her way of life and enjoy a platter of cheeses and produce. The Hilli Goat. Rise early on Saturdays for the best produce at this small but quality market. Bicentennial Complex, Taylors Road. Walk around the World Heritage area of Kingston with its colonial sandstone structures, and visit the Cyclorama for a big picture view of the mutiny on the Bounty. Go on a Phillip Island trek or a scenic boat ride around Norfolk, just two of many outdoor activities on offer here. (fishnorfolkisland.com). Eat the excellent Norfolk Blue beef at this paddock-to-plate restaurant that opens for private functions and events, and tour the farm under the gaze of the rest of the herd. 90A Taylors Road. Run out of a clifftop home, the delicious food is as good as the views at the Bedrock Cafe. Two Chimneys is Norfolk’s only cellar door!